Recognized as a quality leader in commercial vehicle upfits. Adrian Steel’s exclusive EZ Load ladder rack is one of the most functional, easy-to-use grip-lock style ladder racks on the market! The EZ Load ladder rack makes loading and unloading ladders on your Nissan NV cargo standard roof a quick and easy process. It can be challenging to load ladders on taller cargo vans, but the EZ Load’s design brings the rack down 6” towards you so you don’t have to reach the roof of your van. Ladders come in all shapes and sizes. All you need to adjust your EZ Load Rack for your ladders is a ½” socket. The EZ Load is corrosion free! The all-aluminum design with stainless steel fasteners allows the EZ Load to look and function great for years to come. 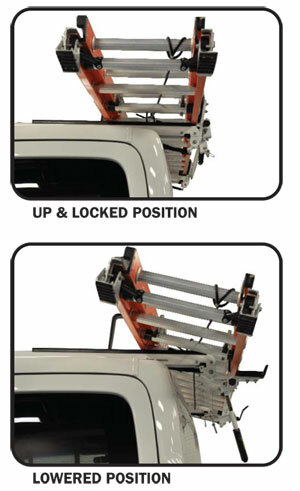 The new T-Slot design makes adding accessories to your ladder rack for the Nissan NV cargo standard roof a breeze. Add a stepladder kit, conduit carrier or utility rack kit with ease! Conduit Kit w/ Round End Caps, 6"
Conduit Kit w/ EZ Load Mount, 10&apos;6"
Conduit Kit w/ EZ Load Mount, 12&apos;6"
Commercial Truck & Van Equipment, Inc.